Today's manufactured homes are dramatically different in appearance then previous mobile homes and are now available in a variety of designs, floor plans, and amenities. In fact, today's manufactured homes are indistinguishable from site-built homes. With that in mind, choose Oaklodge Manufactured Home Community in Pensacola, Florida. Moving into Oaklodge Manufactured Home Community is as easy as passing a background check, signing a one year lease, paying your first month's rent, and paying a month's rent as a security deposit. 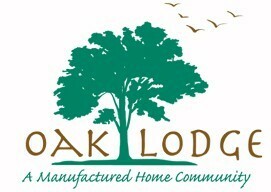 Contact us today at Oaklodge Manufactured Home Community to move into our well-managed, conveniently located community . 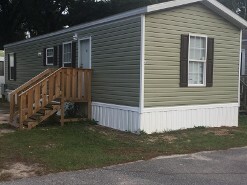 Call Oaklodge Mobile Home Park at (866) 926-9320 in Pensacola, FL, for affordable mobile home and trailer park homes rentals.